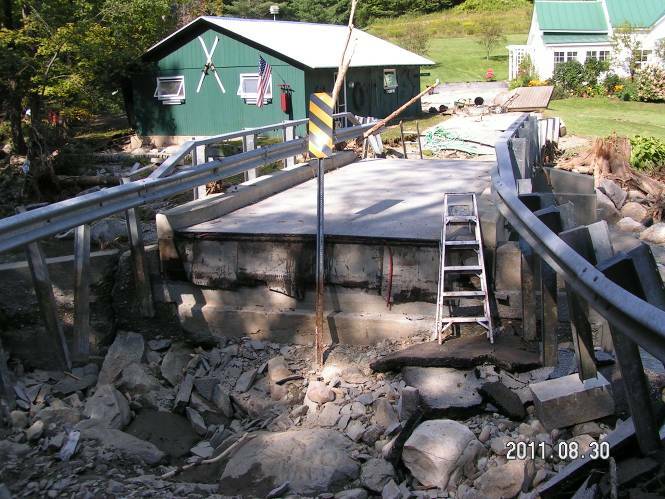 The Town of Northfield and the Village of Northfield have as many as 47 bridges within town limits and were directly affected by intense rainfall caused by Tropical Storm Irene in August of 2011. 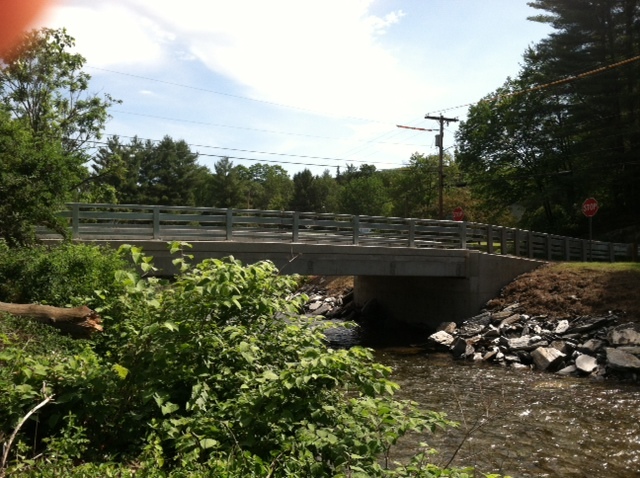 Weston & Sampson was retained immediately after the storm to perform emergency structural inspections of eight storm-impacted bridges. Weston & Sampson’s structural engineers accompanied the Highway Superintendent on an inspection of the eight bridges, which vary greatly in the construction type and age. At each bridge site, Weston & Sampson performed a review of the bridge condition, documented findings photographically, and drew a hand sketch of the bridge layout to show the general location of storm damage. Much of the damage caused by the storm was related to washout of the roadway approaches immediately behind the abutments or at the respective approach embankments. 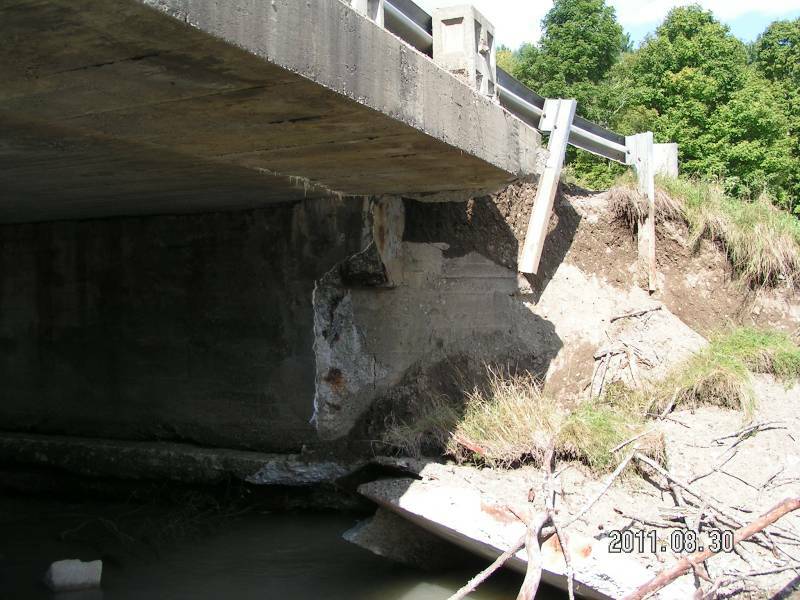 The most notable structural damage occurred at West Hill Road Bridge, where part of the concrete abutment and wingwall failed, and part of the concrete deck was left unsupported. 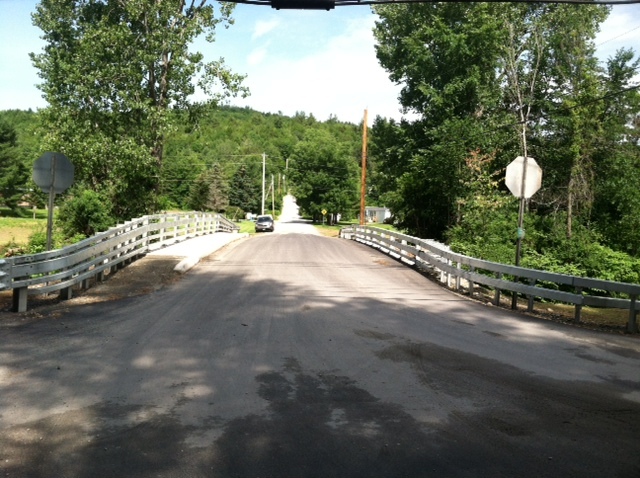 It was determined that the east abutment of the Covered Bridge on Slaughterhouse Road may have moved and should be closely monitored on a continuous basis. Weston & Sampson prepared a report that included a brief summary for each bridge and suggested short-term recommendations for repair. 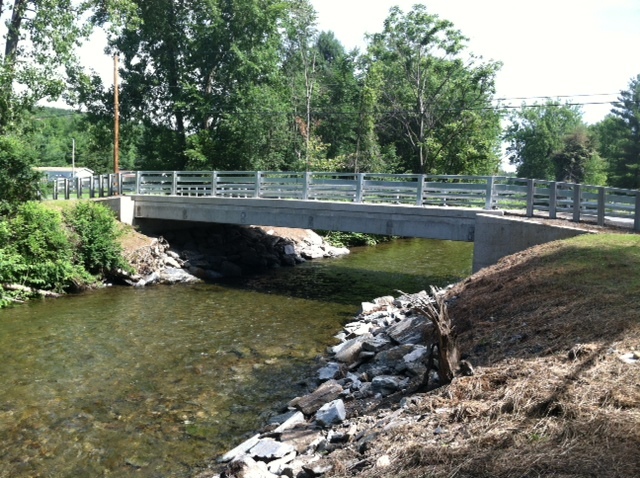 Weston & Sampson performed a complete hydrologic and hydraulic analysis to determine the required waterway opening and aid in the type study analysis. Our work included performance of a scour analysis. In addition, Weston & Sampson prepared the permit plate and analysis and the rights-of-way necessary to determine easements. Fairgrounds Road allows access to the town’s fairgrounds and a trailer park. 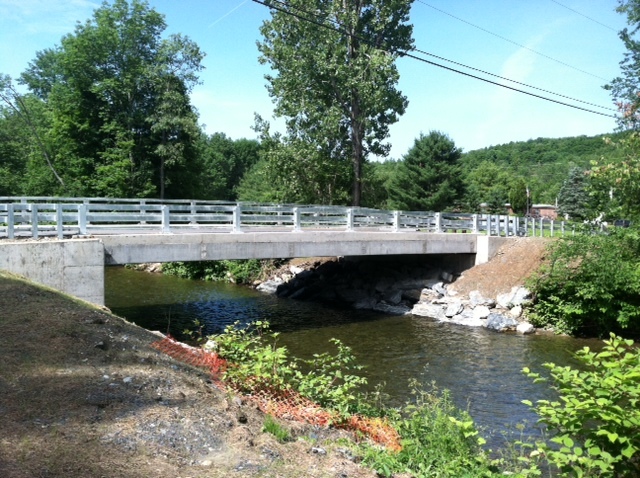 The existing bridge was in bad condition due to Tropical Storm Irene and needed to be replaced. Weston & Sampson designed a single-span precast concrete voided slab superstructure supported on cantilever cast-in-place concrete abutments. The abutment foundations were founded on micro-piles due to scour depths of the river. 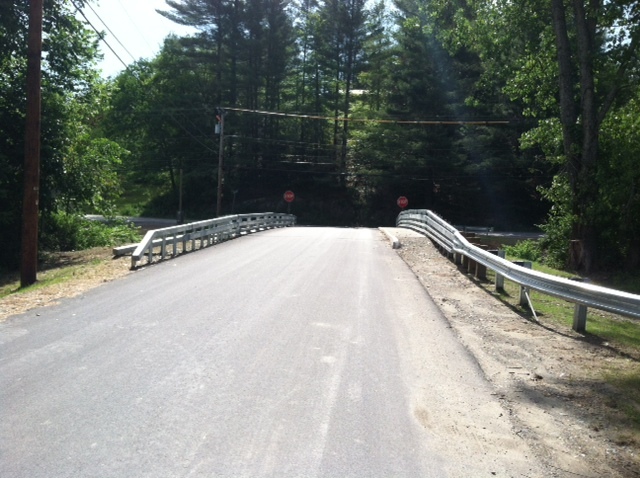 We also employed the use of a temporary detour route that allowed for the closure of the road during the construction of the bridge, which allowed for the use of accelerated bridge construction techniques. Posted in Bridges, Featured Home, Transportation and tagged Northfield, VT.